Writer Douglas Abrams helped facilitate the dialogue and brought in some of his own research to support the concepts presented. The reader gets the benefit of the wisdom of these spiritual leaders, groundbreaking research on joy, and to witness the playful interaction between these sweet souls. So if joy is our essential nature, why are so many people unhappy? We create many of the things that undermine our own joy, including negative thought patterns, not appreciating what we have, and emotional reactivity. Here Adams presented research by by psychologist Sonja Lyubomirsky that shows only 50% of our happiness is determine by set factors like our genes or temperament. The other half is determined by our attitudes and actions, which we can control. Our choice to be kind and generous. So how do you reframe a situation when things can often appear negative and bleak, especially when you watch the evening news? According to The Dalai Lama, it’s important to keep a more holistic view. The news presents the aberrations in our society, not the things that are fantastic about the world. For example, there are millions of children who are loved by their parents everyday, school teachers who are kind and caring, people in hospitals who receive immense caring, and many other kind gestures that go unnoticed by our media. When we remember all the good things happening around the world, it helps keep us from getting discouraged. As a culture, we have been focused on self improvement as the key happiness. There are millions of self-help books that promise to make our lives better, happier, and of course, make us thinner. We read and work on fixing everything that is wrong with us. However, the exact opposite happens. When we have too much focus on ourselves, we become disconnected and alienated from others, and ultimately ourselves. The need for connecting with others is fundamental to who we are as humans. So what is the solution? It’s having and showing kindness and compassion for others. The Dalai Lama says, “When one is thinking about others with kindness and compassion, one is never lonely. Openheartedness, warmheartedness, is the antidote to loneliness. The back of this book is also packed full of joy practices to help you on your journey including processes for setting morning intentions, meditation, forgiveness, Tonglen – a Buddhist process that allows us to be present for others who are suffering, and the eight pillars of joy. 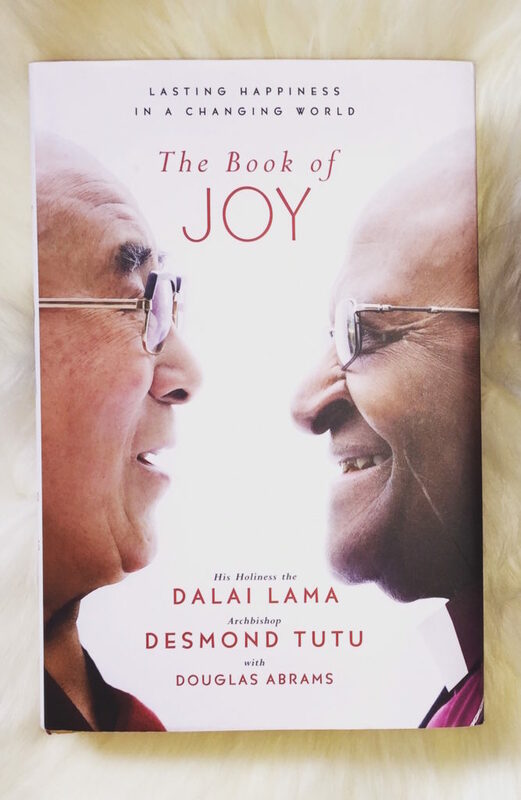 The quotes from The Dalai Lama and Archbishop Desmond Tutu in The Book of Joy remind you of the beauty in humanity. The book also reminded me not to be so self-focused, the importance of connecting with others, and in giving to others. I know it sounds cheesy, but this book made me a better person. It is dog-eared and highlighted for my favorite quotes and passages and is something that I will use as an ongoing reference for life. I hope you enjoy it too. Please tell me your favorite point or quote from the book in the comments below. This post contains affiliate links. All thoughts and opinions are strictly my own. The true sign of a good book is definitely the amount of dog-earring and highlighting that happens in it. I will definitely need to check this one out! Factor #1 is most challenging for me among the things that bring joy. I guess I know where I should focus my attention! Thanks for the review. 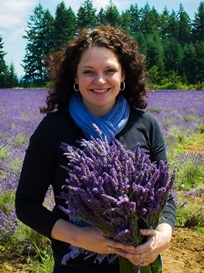 Catherine – thank you for visiting my blog and sharing your thoughts. I agree, where we focus can be a challenge. Have a great day!